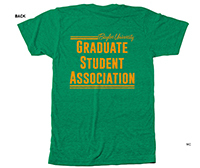 The Baylor University Graduate Student Association is a community that strives to enrich the quality of academic and social life for students of each graduate program of Baylor University as well as advocate the rights of these students and voice their concerns. cultivates a culture of belonging and collegiality. Click HERE to download the 2018-2019 Graduate Student Handbook. The last graduate student survey was sent almost 2 years ago. We're committed to answering the question, "What are graduate students concerned about now?" After understanding graduate student needs, we want to communicate those needs to parties that can help address them. Graduate students may not know what all is available to them. GSA can use its time to alert students to these lesser-known but crucial resources across campus. Email Us! - If you have questions about what GSA is up to, would like to buy a GSA shirt, or are interested in learning more about GSA, shoot us an email. 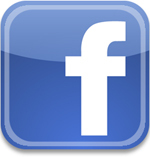 Join the GSA Community on Facebook! 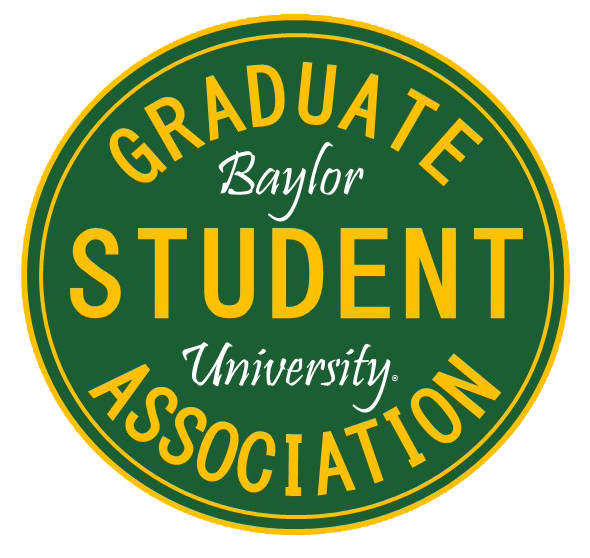 - Talk to GSA members and learn more about the Baylor Graduate experience, programs, and the Baylor Graduate School. Follow us on Twitter! - Get the latest GSA news, live updates on GSA meetings and events, and much more. 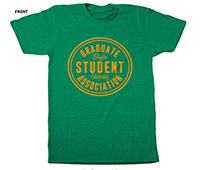 Get the GSA T-Shirt for $10. Contact your Representative to purchase yours now!